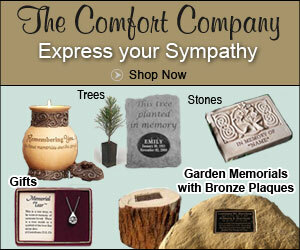 Personalized sympathy gifts abound in the form of plaques, jewelry, and other mementos. But what greater gift is there than the gift of memories? After my husband died, I asked his friends to write down some of their favorite memories of John so that I could collect them into a memory book to keep for my toddler son. Many sent wonderful stories that I hadn’t heard before. They sent photos out of which I created a book. Recently I have heard of others taking the initiative to create memory books as a bereavement gift. The recipients cherished it. With the advent of digital scrapb book companies, a project like this is really very doable even for those who consider themselves uncreative. You download their software. And when the book is finished, simply upload and within 10 days you will have a professionally bound book of memories. Who has memories that the family of the deceased would cherish? One of the things I like about My Memories Suite is they have a huge variety of page background options. This is especially nice if you don’t have a lot of photos. You can make the book fit the personality of the deceased or the contributing members by the choices of page backgrounds. For example a baseball team could choose a baseball-themed look for their book. Read more ideas about how to make memory books. In his book Poetic Medicine, John Fox says that people have told him that reading poetry was the only thing they could do to make it through the brambles of grief (p. 161). Seasons of Solace is a book of grief poetry, which is helping many people connect with their own loss. Return from personalized sympathy gifts to Words to Express Sympathy.